Eileen Straughan, President and founder of Straughan Environmental, has 30 years of experience in environmental science, planning, and design for transportation and land development projects. 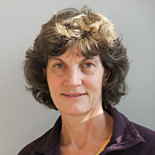 Eileen’s years of experience have led her to note, “During my career I have witnessed the environmental discussion grow from polarization and conflict to recognition that by working together we can achieve far better outcomes for our growing society and the natural and human environment. This is an exciting time to be an environmental professional because it’s not all about compliance anymore. It’s about sustainability and doing what is right to meet the needs of a growing society in its security, housing, transportation systems, and infrastructure, while protecting, preserving and enhancing the natural and human environment in which we all live. It’s not about finding a way to avoid environmental laws and regulations, it’s about finding where and what the resources are, understanding how they might be affected by our projects, and discovering how to avoid and minimize potential impacts.” Eileen’s expertise is in water resource management and her passion is improving our ability to achieve water quality standards through implementation of low impact development strategies, innovative stormwater management techniques, and stream restoration. Allan began his professional career working at FERC writing environmental impact statements but he left FERC for to work for the Department of Navy and later became a leader in the civilian community supporting three letter agencies. His undergraduate course work focused on environmental and biological sciences. He now is the managing partner of Columbia Green MGT, LLC which owns and operates sustainable commercial real estate. His objective with Columbia Green is prove and demonstrate that LEED certifications are achievable with construction budgets less than, or equal to, conventional builds. The real benefit is achieved in operation. Utility costs can be reduced by more than 50% when compared to similar space build without regard to LEED certifications. Allan lives with his wife on Rock Creek just east of Baltimore. He loves being outdoors and prefers being near the water. An avid boater, he and his wife love to cruise around the Bay exploring new ports, anchorages and fishing spots. One day, he hopes to circumnavigate the Great Loop (leaving the Chesapeake, north to the Erie Canal, through the Great Lakes, down the Mississippi, around Florida and up the inland water way back to the Chesapeake). He is committed to doing all that is necessary to preserve the Chesapeake Bay for future generations and to being the best steward of this land as he can be and believes living sustainably just makes sense. 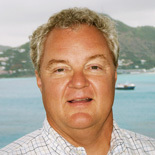 Bruce Crawford retired from Perry Ocean Technologies as president soon after negotiating the sale of Perry in 1991 to Martin Marietta, now Lockheed Martin. Since then, Bruce has worked as a semi-retired volunteer-investor-advisor-coach to a number of small businesses and other organizations including TransDermal Technologies, a biotech company and Penetran Products, a small pharmaceutical products company and Hydropro, a water processing company, all three in Palm Beach County, Florida and also Nauticos, an ocean engineering company and Straughan Environmental, both in Maryland. Bruce is also the co-founder, initial contributor, officer and director of several charitable support organizations including the Friends of the Uffizi Gallery, a funding support organization for the Uffizi Gallery in Florence, Italy and Koolhof Earth in Maryland. Through a small family investment partnership, ALFA Family LLLP, Bruce owns and manages financial investments and commercial properties in Palm Beach County, Florida. 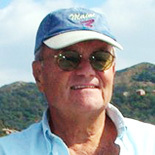 Bruce and his wife Holly live in North Palm Beach, Florida and San Rocco di Camogli in the summer and Bruce has two grown daughters. 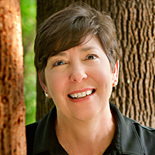 Caryn is the founder and director of Restore Rock Creek and is a certified Watershed Steward for Anne Arundel County. Currently, Caryn is employed by Genesys Telecommunications as Sr. Director Global Alliances and focuses on business development and strategic initiatives.